With the release of the Range Rover SVAutobiography, Land Rover has added even more luxury, design sophistication, and performance to its prestigious line-up. Replacing the Autobiography Black as the flagship Range Rover, the SVAutobiography combines peerless luxury with the most powerful engine in Range Rover’s history. The all-aluminium 5.0-litre V8 supercharged engine, used to power the high performance Range Rover Sport SVR, has been re-tuned for the SVAutobiography. The potent engine produces an outstanding 542 HP and 501 lb/ft of torque. In addition enhancing the vehicle’s power, Range Rover put a lot of thought into the exterior design of the SVAutobiography. Available in standard and long wheelbase derivatives, the SVAutobiography is distinguished with new Range Rover hood lettering and the tailgate is adorned with the new SVAutobiography badging. The unique front grille is finished in distinctive Graphite Atlas and polished chrome. The 2016 Model Year SVAutobiography will feature a unique Duo-tone body color option – Santorini Black upper body and nine color choices for the lower body. 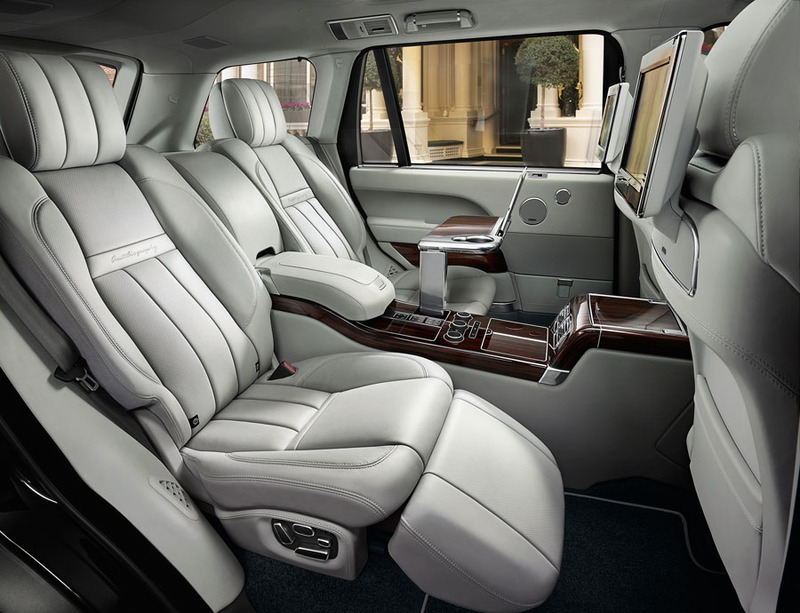 The interior of the SVAutobiography also exudes refinement and luxury. Much of the driver’s switchgear is machined from solid aluminum with beautiful knurled details, as are the foot pedals. This detailing continues to both the front and rear center consoles, with distinctive materials for the cup holder and socket covers. New armrest adjusters not only bring a similar level of machined detail, but also make them even easier to use. Rear-seat passengers relax in luxurious seating complete with a chiller compartment and powered deployable tables. Solid aluminum coat hooks are incorporated into the rear pillars while, on the floor, aluminum seat rail finishers and deep twist pile mohair carpet mats complete the feeling of sumptuous luxury. 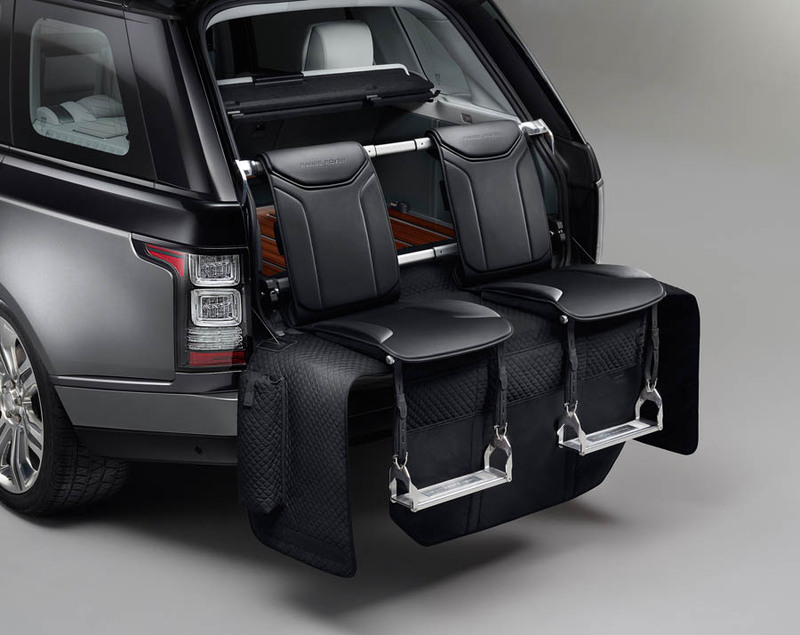 For those customers who enjoy the versatility of Range Rover’s split tailgate, SVO has developed ‘Event Seating.’ Stowed in the luggage compartment, these can be quickly and easily deployed to provide comfortable seating for two adults on the tailgate lower. Hand crafted from beautiful Windsor leather with a highly durable aluminum frame, this option will appeal to those who appreciate the duality of Range Rover’s ‘business and pleasure’ characteristics. Underlining its status as the most luxurious SUV in the world, the 2016 Range Rover SVAutobiography benefits from a host of additional and improved convenience features. These include a new, improved Surround Camera System with crisper graphics for enhanced clarity and an integrated washer jet for the rear camera. The new Gesture Tailgate standard feature provides hands-free access to the luggage area while Automatic Access Height automatically lowers the vehicle once parked, for improved entry and exit. And of course, you get the unrivaled off-road capability that Land Rover is known for. 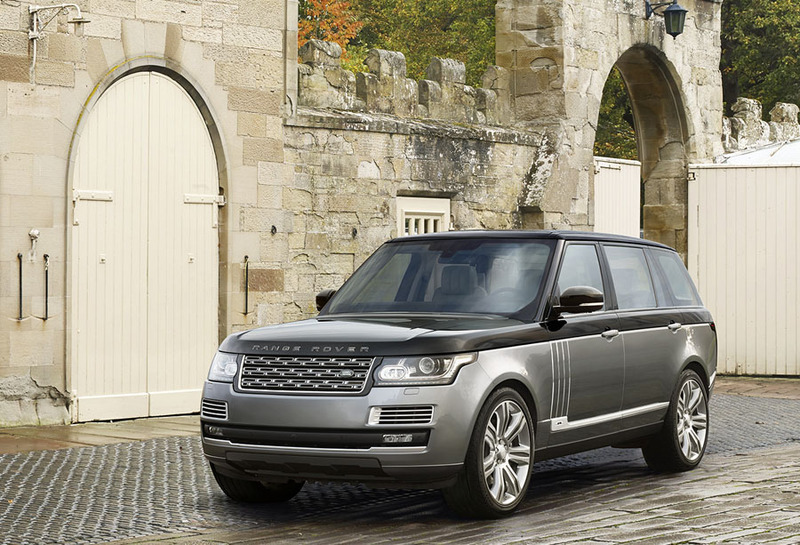 Priced from $222,000 (£148,900 UK), the Range Rover SVAutobiography will be on sale from summer 2015.